So that was it people. 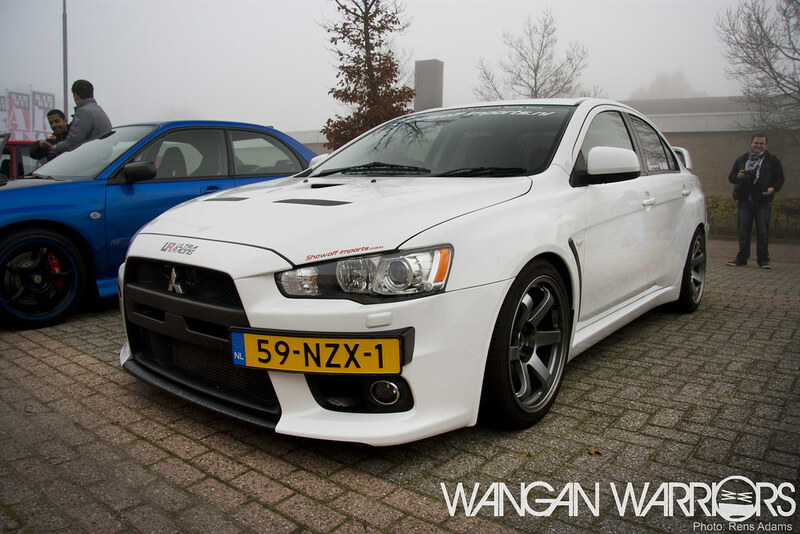 The year 2011 is officially to an end in the Japanese automotive scene in the Netherlands. 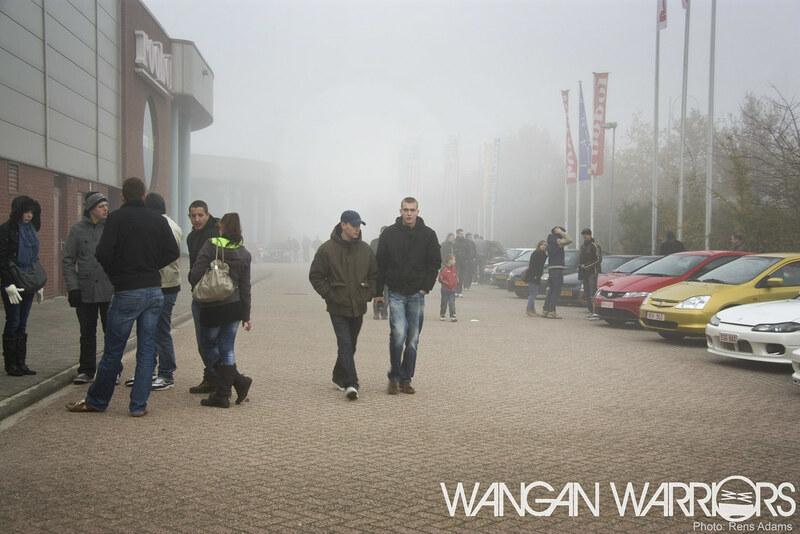 The city of Oosterhout was a magnet for Wangan Warriors meeting visitors. We are proud to say that, thanks to all of you, we’ve exeeded the vistitors quantity and counted just over 220 cars! The quality level of the cars outshined any other meeting or event I’ve visited this year. 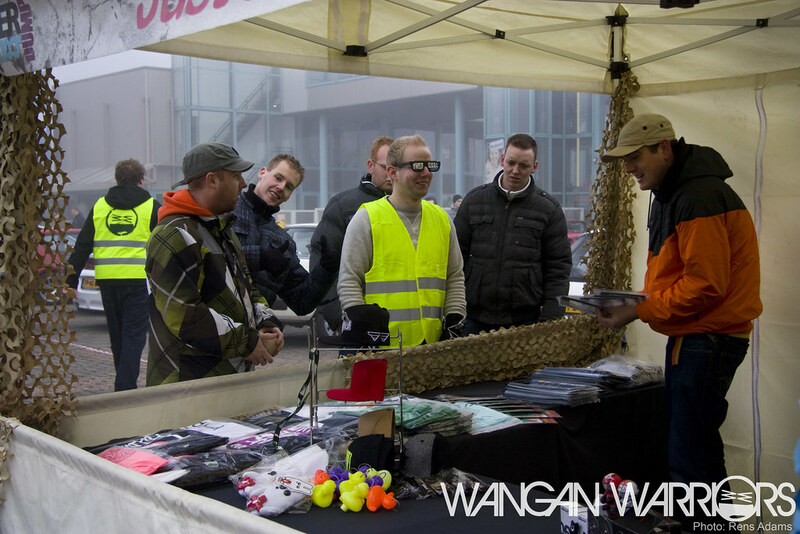 A proper organisation was a necessity as we were expecting a bit over 150 cars. It was possible to use the same meeting location of last year but we wanted to attract the attention to the center area this year. All sorts of cars rolled up the parking lot. 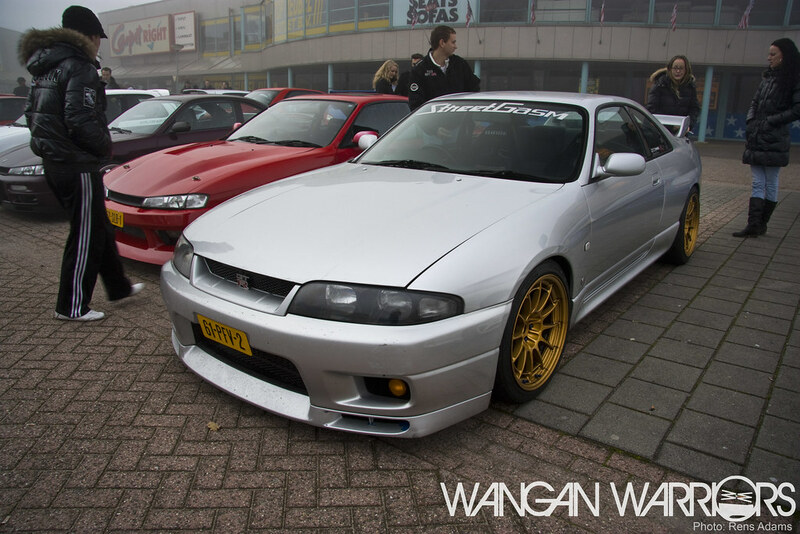 From higly modified awesome Imprezas to ordinary daily drivers to exclusive classics. Speaking of classics. It was the fist time in my life I saw a Suzuki SC100GX. To be fair I had never heard of it before but thanks to your presence at our meeting I was able to broaden my automotive horizon. And not to forget the LHD Levin! Belgium was well represented again ofcourse. One of the cool cars that our southern neighbours brought with them was this retro Honda Civic. Just amazing! And since we featured a cool NSX last week. I was kind of hoping that a NSX would show up as well. And it did! The same white NSX as last year if I’m not mistaking? 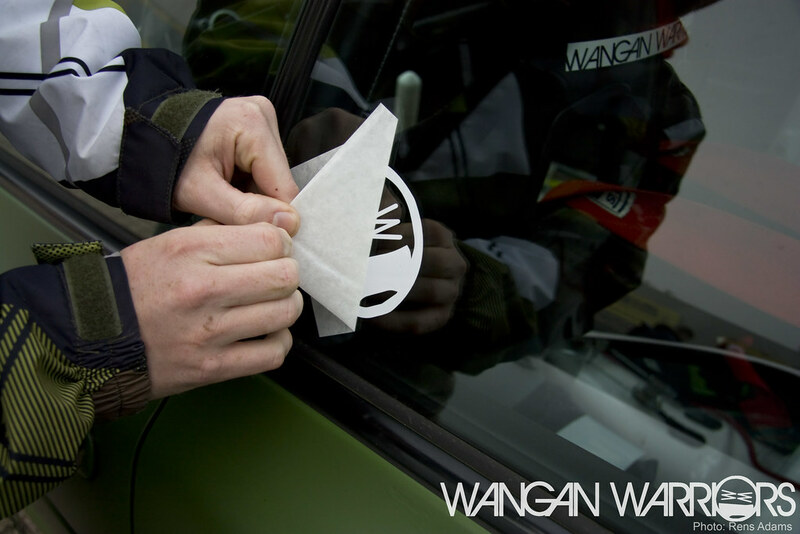 Stickerbombs are getting pretty common in all car genres. Even stickerbomb-film exists. So stop saving stickers for years! 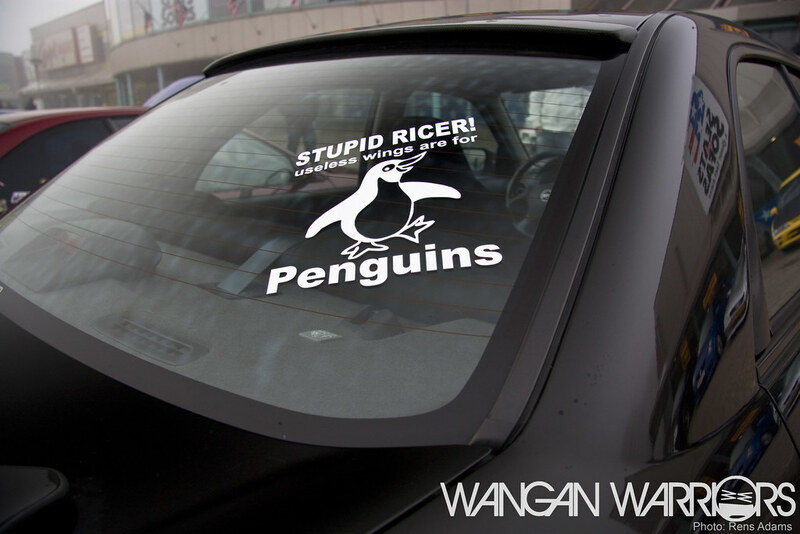 Clear statement made by this Impreza owner. I couldn’t agree more. Stance is going to a whole other level these days. 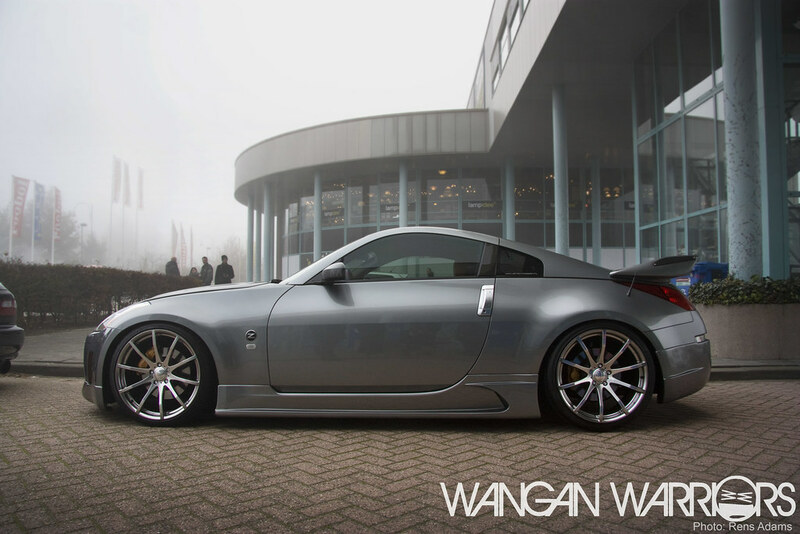 This cool 350Z is the living proof of that. But that wasn’t the only well stanced car at the meeting. A very cool VIP lexus was present as well! This was one of my favourite cars at the meeting. He was also at our meeting in De Meern so it was cool to see it again in Oosterhout. 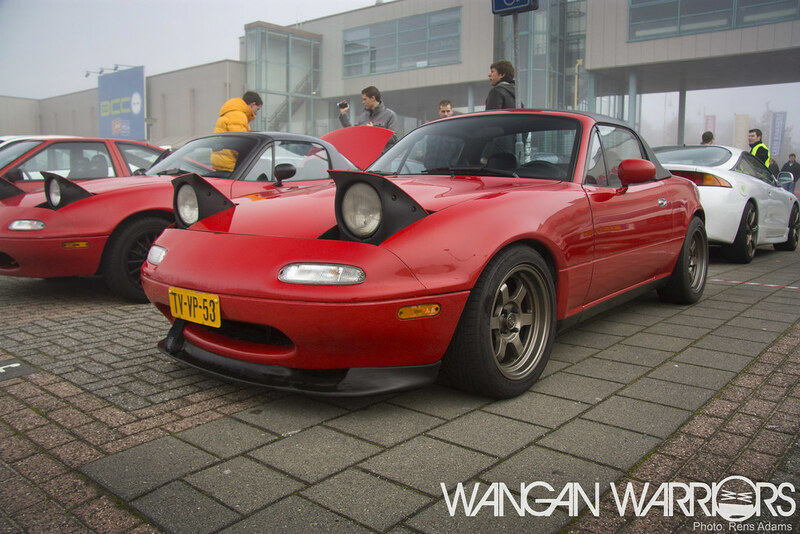 Very nice Miata. Many people were pleased with the attendance of the Honda S2K’s. Many credits to you guys. This particular S2000 outshined the most I think. Not too many bonnets were opened. Or I was at the wrong place at the wrong time, who knows. This engine bay did got my attention.  It looks very clean. Rising sun FTW! Our very own member Johan a.k.a. Kapitein Iglo had his engine finally mapped. 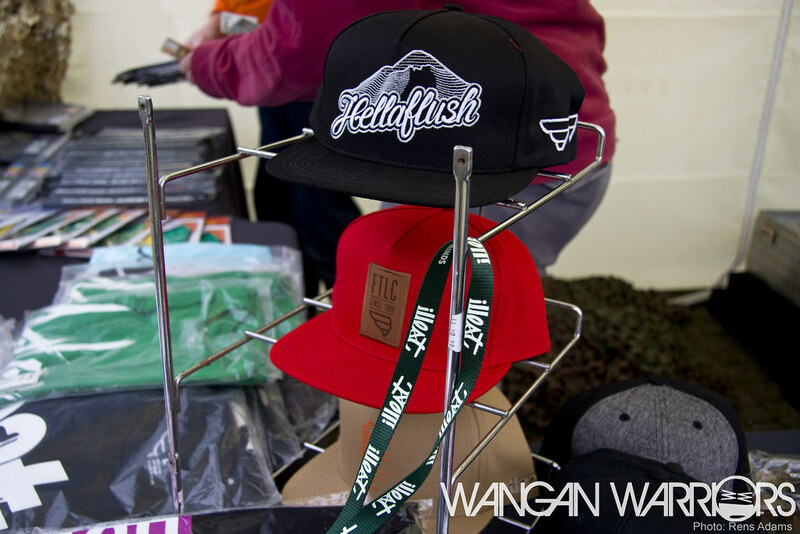 You’ve probably seen some cool video’s on our Facebook page. 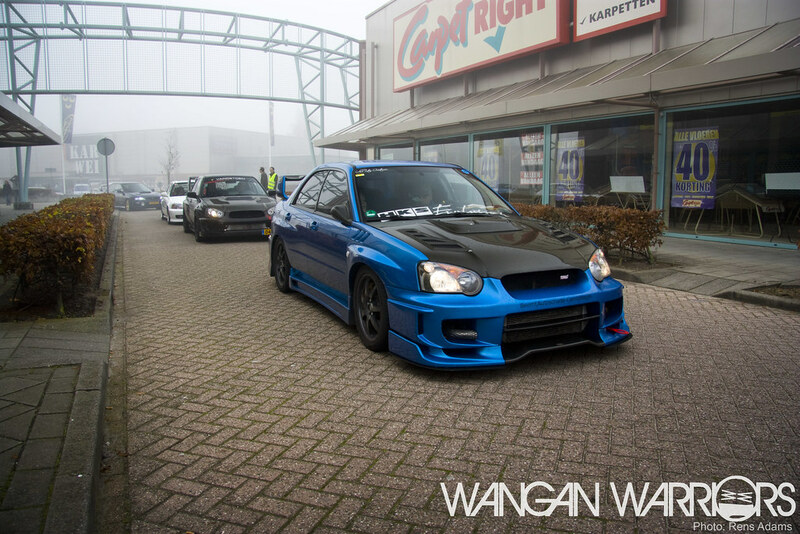 Quite some people checked out his Impreza and a lot of photographs were taken. The fog made the meeting atmosphere kind of cosy. It didn’t bother to many visitors, so I’ve heared. This picture tells a little bit more than what you’re probably seeing. 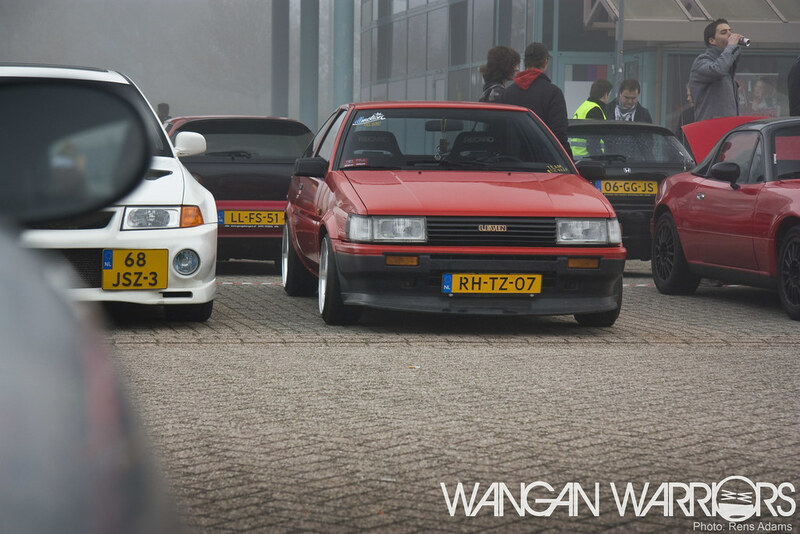 There is some Wangan folly in this photo. Check out Peter with that sticker on his sunglasses. Forget the sticker, sunglasses on a day like this? And the always enthousiastic clubfriend Kevin posing for me. 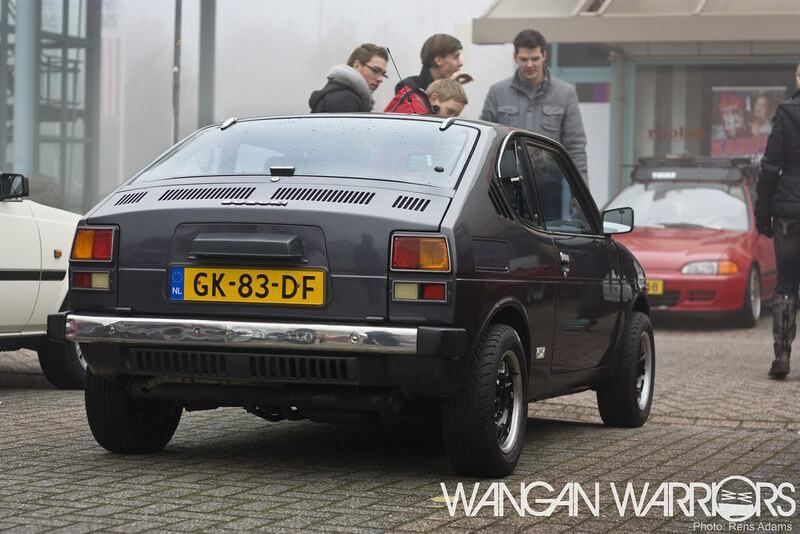 Make sure you check out his project page on our forum! He’s taking good care of his RX7 FC. Much respect to StickerDump for fixing us a new load of stickers. 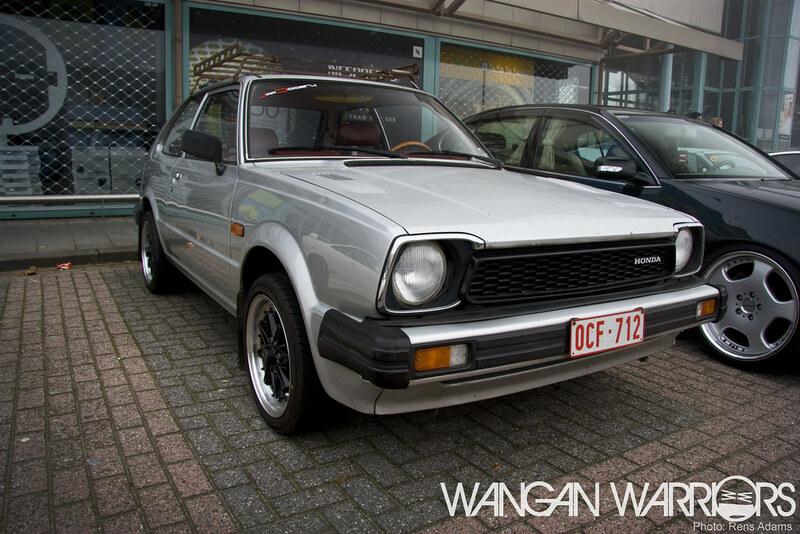 So next time you see a Wangan Warriors just ask for one! Johan was the first to put one on his ride. I’m getting myself one of those next time I visit your new store! The people of Showoff Imports came in force. Lined up for their well deserved admiration. …and when I walked away I couldn’t withstand another peak to this car. Keep an eye on this guy. 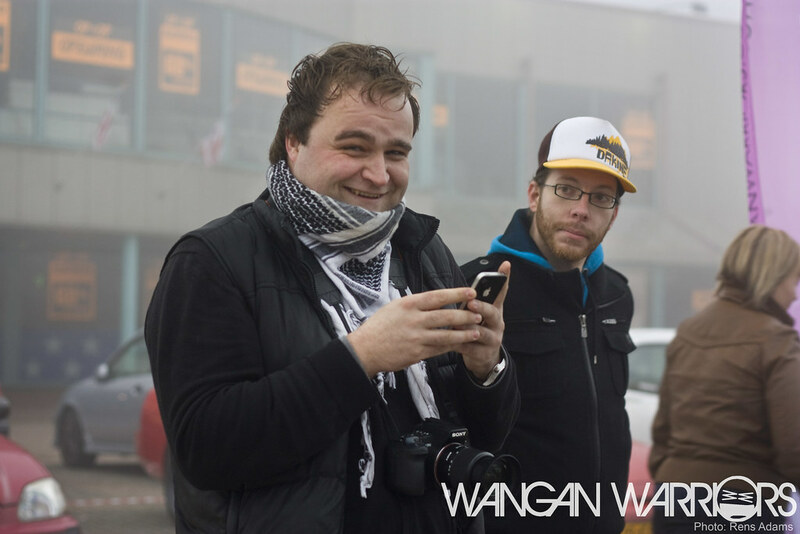 This is 7Tune blogger Allard van Grafhorst. Here he’s updating Facebook to show the world the awsome cars of the meeting visitors. 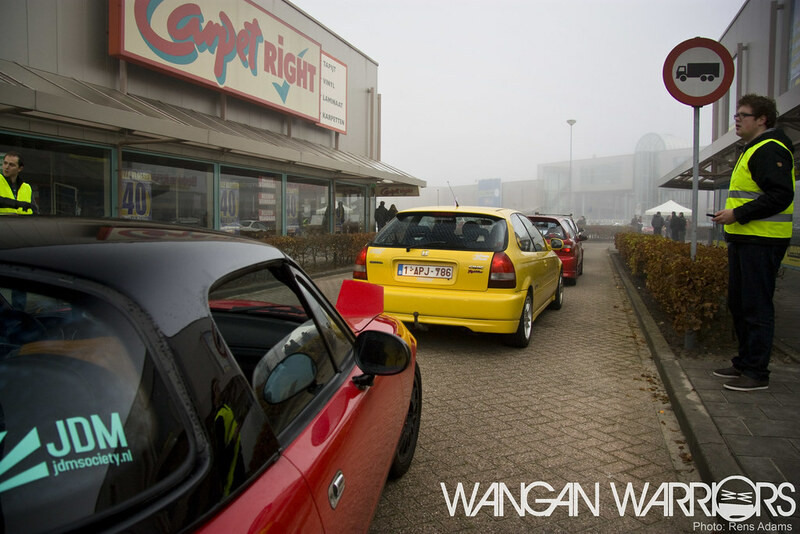 So make sure you check 7Tune for Allard’s full coverage on the Wangan Warriors meeting. We can reveil the news that this meeting is going to be an annual happening since we’ve how had 2 successess in a row. 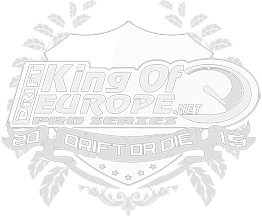 Thanks for all the kind reactions so far on Facebook and on our forum! You guys made this meeting by showing up, having fun with us and you showed your appriciation towards our club in an inutterable way. 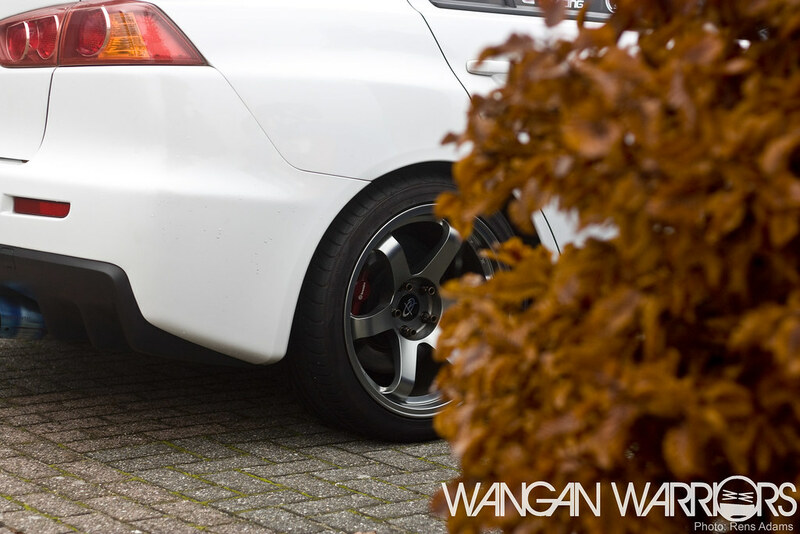 We as Wangan Warriors were bestowed with satisfaction and joy thanks to all the visitors. See you next year!